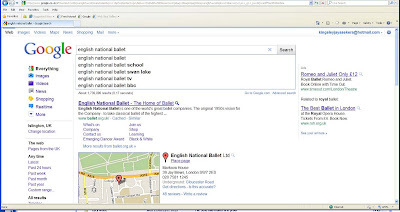 Following up on my post about the Royal Opera House bidding on Sadler's Wells as keywords for its current Adwords campaign I thought I would follow up with some more observations. 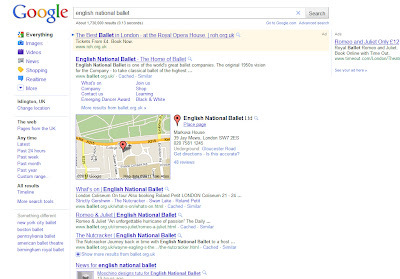 Again, I am using the ROH as an example, not because I have a particular problem with what they are doing, but because they are running an extensive campaign that is not show related and so highlights very well how Google Adwords work. 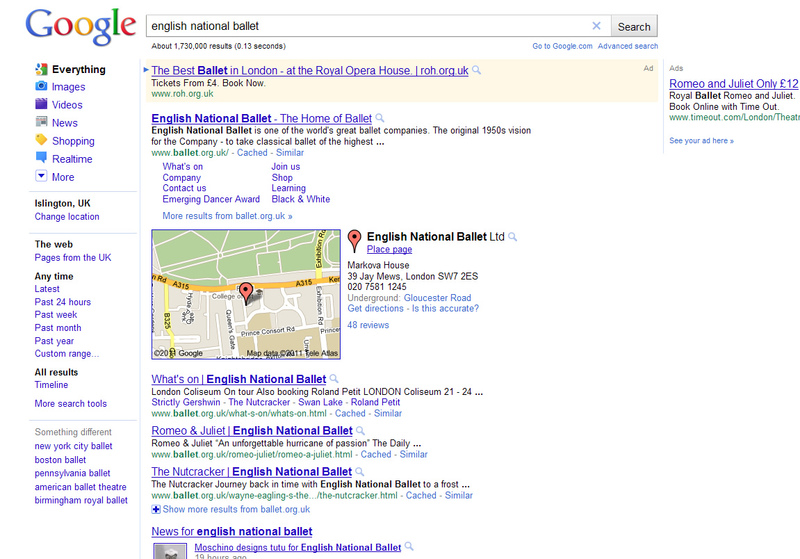 The first covers competition for page placement on Google and what this means when adverts are added to the equation. 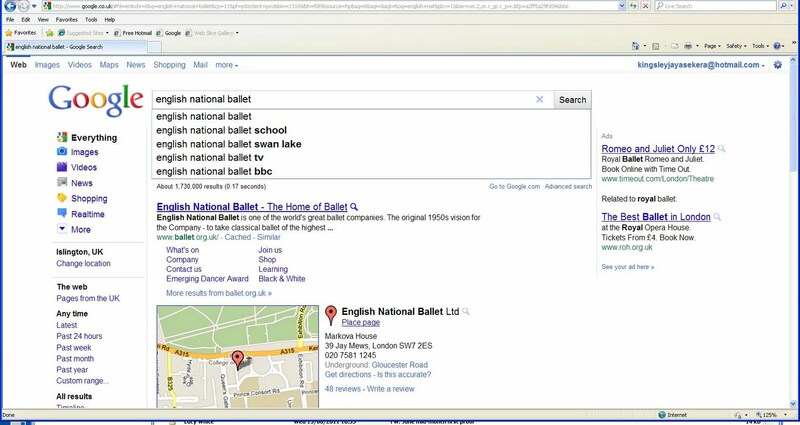 As you can see in this screen grab a search for English National Ballet gives you an ad for the Royal Opera House that sits at the top of the main column rather than in the familiar position to the right. Ad positions like these set you up in competition for your own name in search and force you (assuming it matters to you of course) to take your own ads to outbid your rival and regain top position. Great for Google's income line, but it would be a shame to see arts organisations waste money in a bidding war. The second screenshot features something called Related Ads. These are Google ads that appear on keywords you may not necessarily have bid on. As far as I know their appearance is related to previous searches done, what Google considers is relevant to the user, and the broad match terms the advertiser may has used in their campaign; but I'll leave the definitive answer to any adwords experts (assuming they even know). It is a feature that has been around a while and is so often the case with Google appeared without much explanation or warning. A few people have gone as far as call these Evil Ads though of course Google say they are just offering customers better service. There is more on this subject here and here for Google Adword junkies.